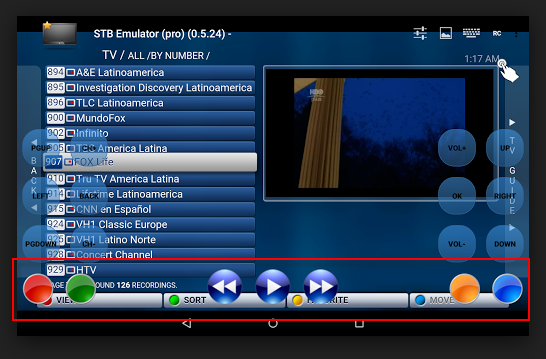 I am doing some research before buying the MyGica KR-301 remote, I just want to make sure the colour buttons (Red, Green, Orange"Yellow", and Blue) buttons work with the STBEMU Android app. I am currently using this app to watch tv. Does any one know if this buttons work with the app? If not, you can configure them within the Apps setting.